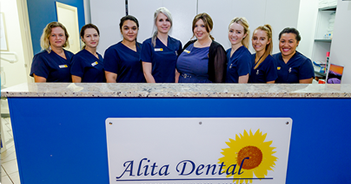 Alita Dental specialises in restoring brilliant smiles! We restore broken or damaged teeth so they function and look better, leaving you with healthy teeth that you can really smile about. 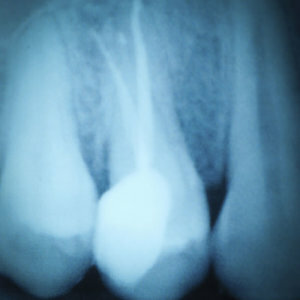 We offer several different solutions for restorative dental work that are safe and effective. We do not offer amalgam or silver restorations because of environmental concerns. Composite Resin restorations — also known as “white fillings” — are colour matched to your existing teeth and are the most common and economical way to treat tooth decay. Depending on which area of your tooth needs to be covered, we will use either an inlay, onlay or crown to restore any tooth damaged by decay. We use both porcelain and gold for these procedures, depending on which tooth surface has been damaged. Porcelain is an excellent material for inlays, onlays and crowns since it can be colour-matched to your surrounding teeth and crafted to look exactly like your natural tooth. Porcelain is also a durable material, which ensures your restoration will last. In general, gold is used when the chewing surface of your tooth has been compromised. Since gold is a flexible and long lasting material, it is ideally suited to dental use and provides a very real, long-lasting solution. If you have a tooth that has sustained serious damage — through cracking, decay or injury — so that the soft inner tissue inside the tooth’s root canal becomes infected or inflamed, you will need root canal treatment. During your initial appointment, your dentist will take a radiograph of your tooth to diagnose and confirm how much damage has been done to the root canal. 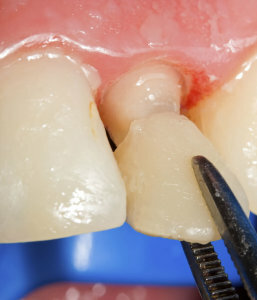 Upon your return, place your permanent restoration to protect your tooth.